Out Magazine has unveiled this year’s Out 100 list. The 2014 ranking features Buzzfeed‘s Chris Geidner (seated above) and New York Times writer Josh Barro (third from left.) Others on the list are Dan Savage, Larry Kramer, Andy Bell, Armistead Maupin, Jason Collins, Richard Chamberlain, Carmen Carrera, and the cast of Looking. See the full list. The new season starts Sunday, January 11th. 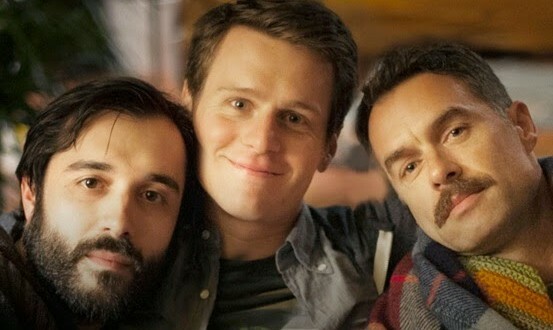 Stay out of the comments if you’ve not yet seen last night’s debut episode of HBO’s Looking. Otherwise dive in and dish.